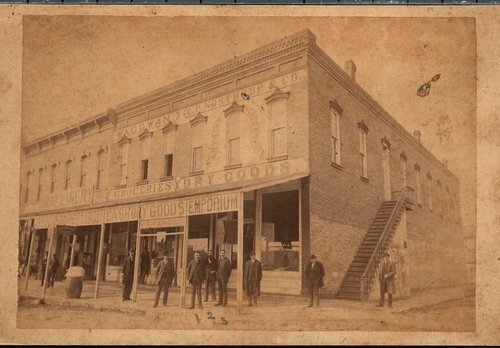 Card photo of the Northrup store in Iola. The men standing under the Emporium sign are (left to right): Will Northrup, possibly W. A. Cowan, and O. P. (Lon) Northrup. Walter P. Hull was manager of this store after he was discharged from the Philippine-American War.